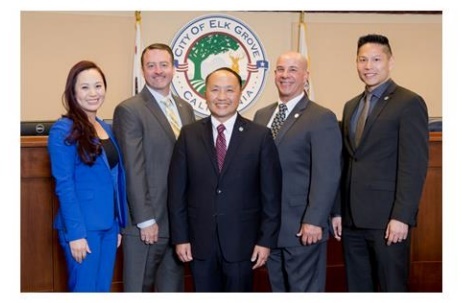 Elk Grove News Minute - Is the Elk Grove City Council Setting up Some Subtle Electioneering From the Dais? Is the special meeting seeking community input that the Elk Grove City Council requested on Monday, June 25 meant to produced a report that could benefit four of the current members who are on this November's ballot? The meeting details are not currently available on the city's website, but information on the brainstorming session can be viewed below. Thanks EGN....Appears the city forgot to notify us of this "brainstorming session" they seem to think is so important, not to mention the time frame which is when most are at work. This might be their first item on the agenda. "How can WE best serve our residents?" 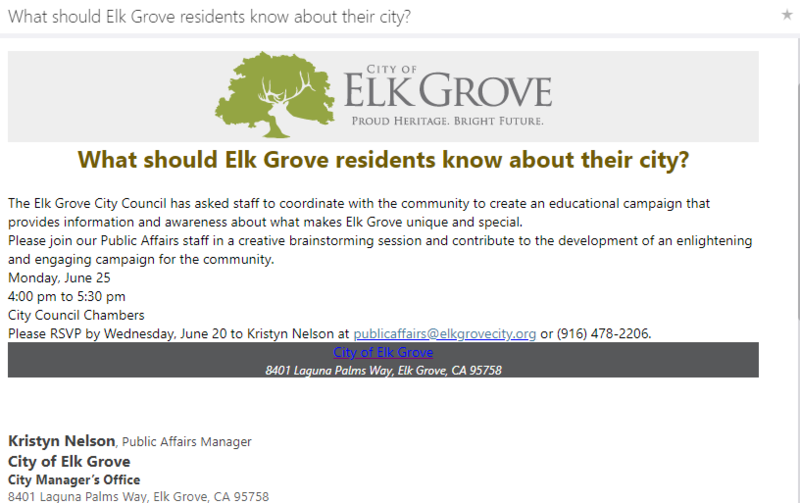 Sorry, Dan, it has already started, and since this special meeting was at the insistence of the Elk Grove City Council themselves, at the beginning of the election season, what can one expect. And this isn’t the first time this has occurred! 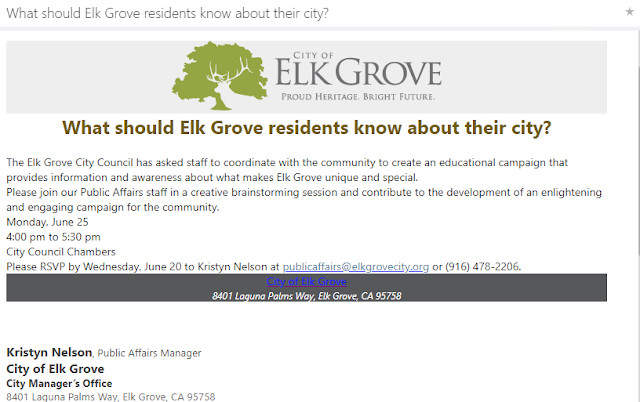 What is so hypocritical is when Pat Hume was trying to unseat Rick Soares back 2006, the city of Elk Grove held “visioning sessions” spending tens of thousands on public meetings and a four-color coffee table book. Hume, at the time, along with Gary Davis, who was trying to unseat Dan Briggs, cried foul. Funny, now that Hume is on the other side, there is suddenly no problem with these especially-timed public “feel good” meetings. It is especially true now with both Darren Suen and Steve Ly vying for the center square. Then you factor in Stephanie Nguyen and Hume, also on the ballot come November, both now with challengers, what we have is a dais, in the people’s house, resembling a bully pulpit. Then we have Steve Detrick joining in with the other three to make Ly’s life a living hell, not to mention one regular public comment speaker who acts as bait for the Council, so they cannot be accused of showboating – so easy to spot, even for a novice council watcher. The takeaway here is that when local officials are running for re-election, they should limit their campaigning to the campaign trail, not use the seat they hold for political grandstanding. And I will add another new political word coming from the dais, gaslighting!